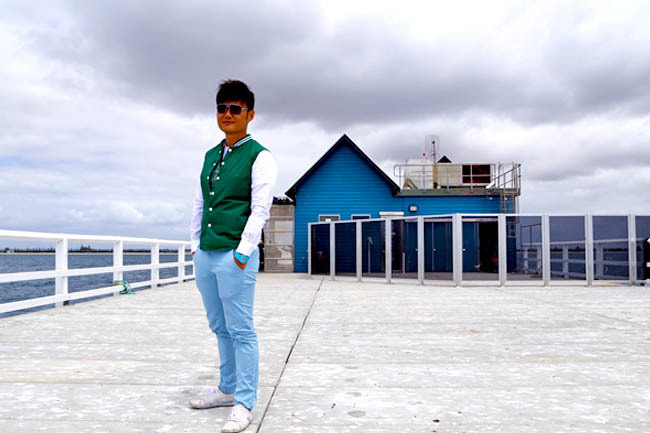 [Western Australia] We drove swiftly from Perth’s King Park to Busselton Jetty in 2.5 hours. 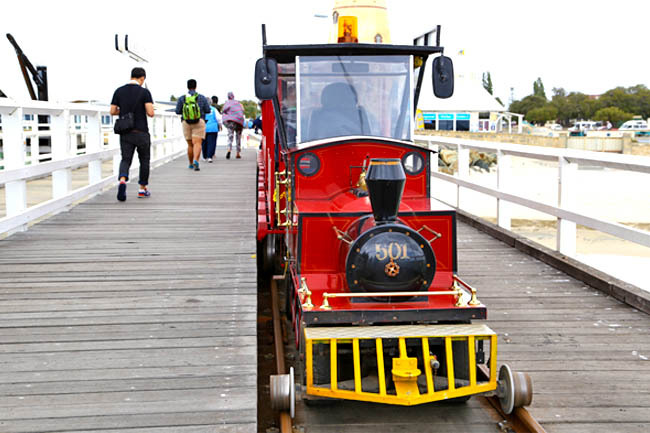 There was a train to catch at Busselton Jetty, and we thought we should hurry. 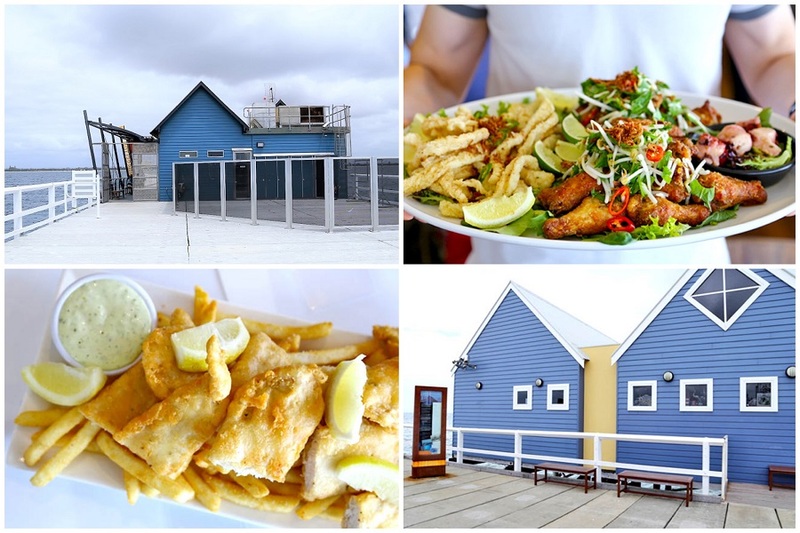 You may not have heard of Busselton Jetty, but it is a place worth the visit. It boasts the longest timber-pier in the southern hemisphere and the second longest in the world stretching for almost 2km. 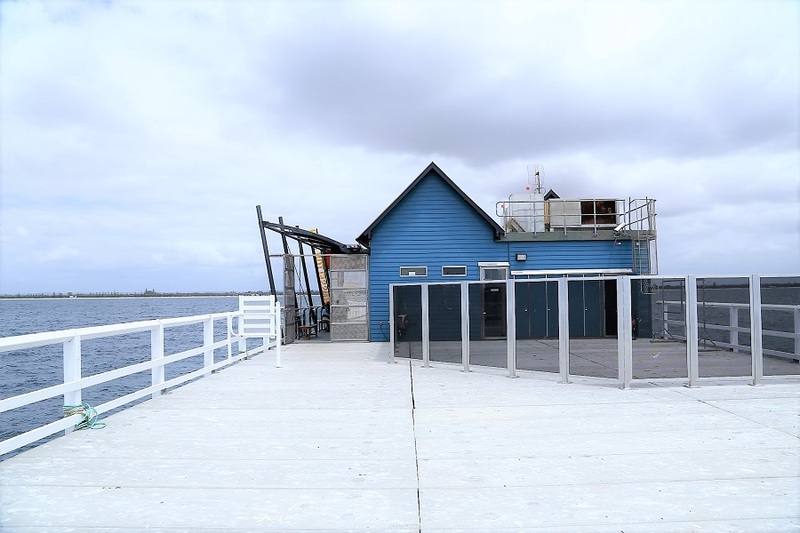 Other than viewing the borderless deep blue sky, and clear protected waters of Geographe Bay, another strong reason to visit the heritage-listed Busselton Jetty is for its Underwater Observatory. 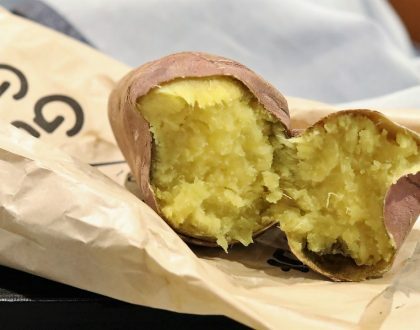 Yes, and that was why we rushed for the train. The retro-looking red Jetty Train was not quite what I was expecting initially. But we had good fun travelling across 1.8km on this transport resembling a choo-choo-train. The train went rather slowly. That meant that I had plenty of opportunities to look beyond the horizon, and just admire the almost untainted sea in this part of the world. Well, the alternative was to walk across the boardwalk. 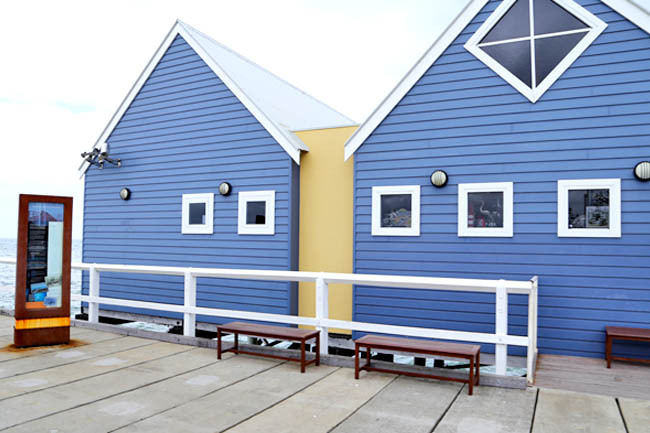 The Busselton Jetty Underwater Observatory is one of only seven Underwater Observatories in the world. This is where you can have a glimpse into the natural ecosystem, well, without learning to dive. Descending 8 metres below sea level, we viewed the corals and fish life through viewing windows. Many of us were just amazed at how clear and clean the water was, which allowed visitors (40 max at a time) to wonder at the multi-coloured coral structures, and marine species – some of them were hardly camera shy. 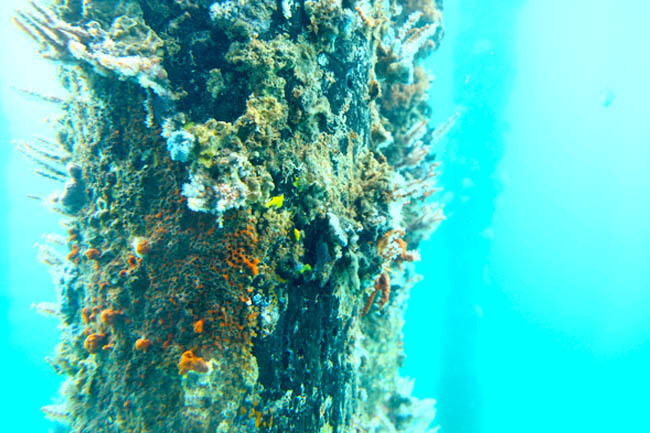 To date according to records, more than 300 individual marine species live in the ocean beneath the Busselton Jetty. 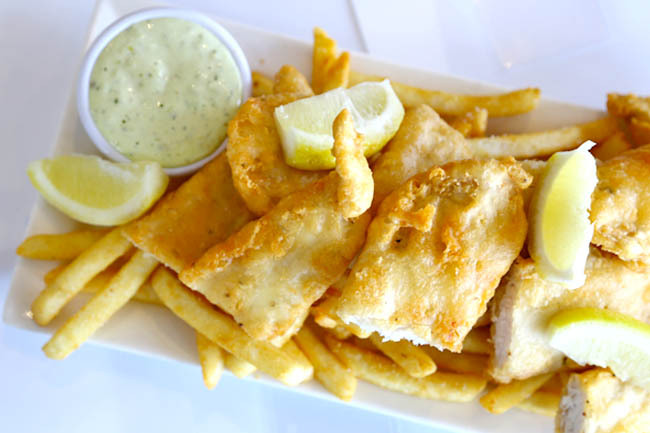 “You want to eat Fish & Chips, AFTER you said those fishes were beautiful?” My travel mate probed into my un-explainable craving for golden deep fried Fish & Chips with tartar sauce. 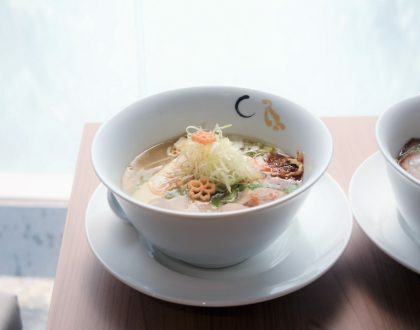 This weather, this fresh air, the sea, the view… was just the perfect setting to satisfy my craving for this iconic dish. 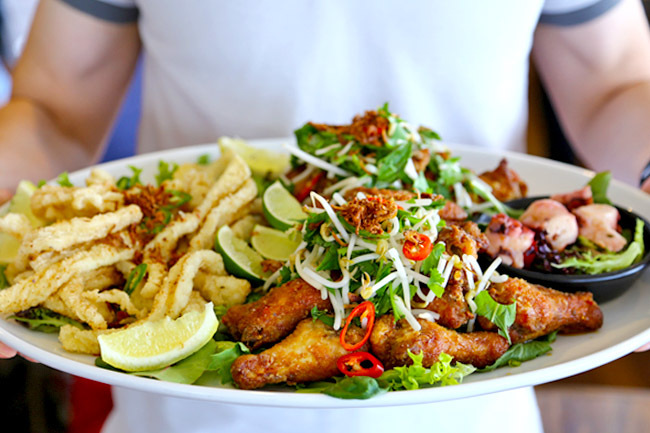 After the visit at Busselton Jetty, my wish was more than granted – we had an entire platter at The Goose Beach Bar & Kitchen at the front of the jetty. The usual serve of WA (Western Australian) mackerel with chips and slaw was at AUD27.50. 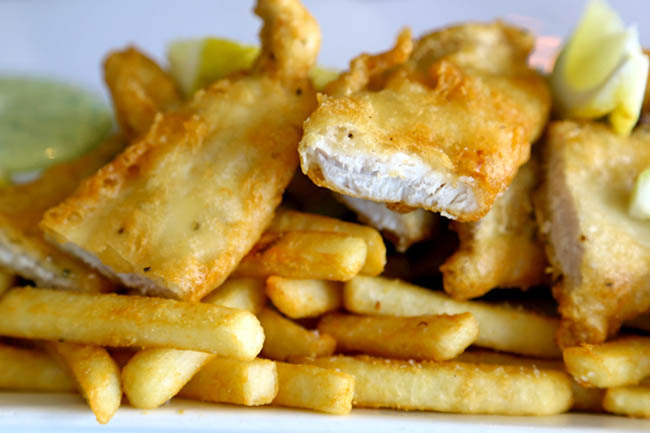 The seaside restaurant has been a local identity in Australia’s South West for the past 16 years. 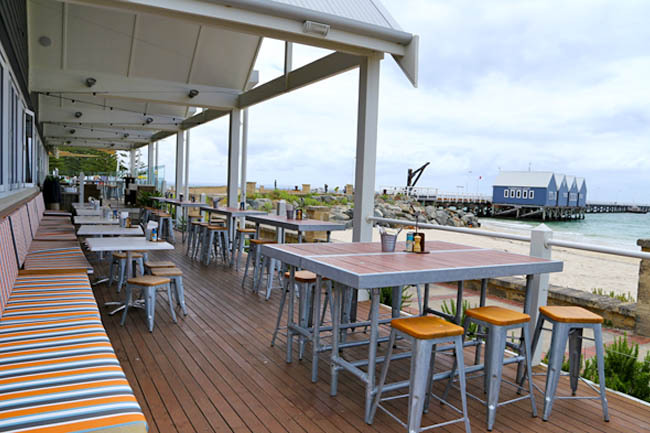 Choose to sit outside and you can have an unparalleled view of the Busselton Jetty. 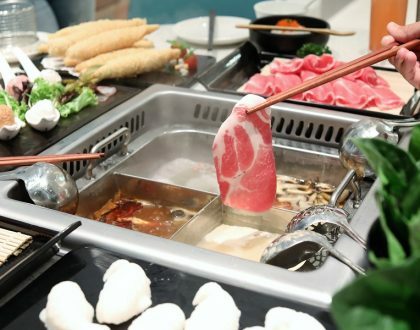 Menu items are cooked using premium locally-sourced produce from WA, thus you would be assured of quality and freshness. 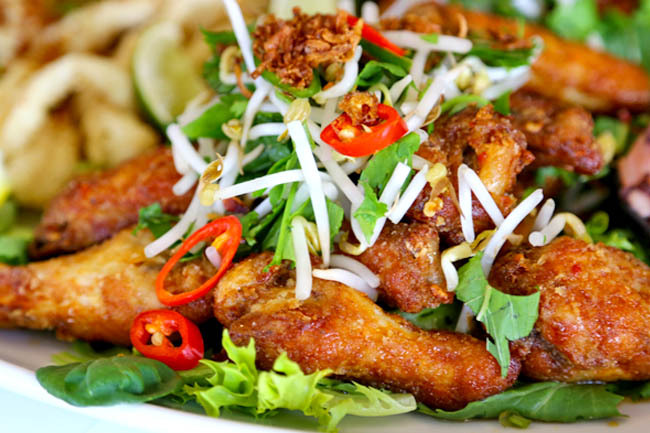 Some of the other highlight dishes are the Chilli Salt Calamari with Herb Aioli (AUD17.50), WA Picked Octopus (AUD$13.50), Duck Liver Parfait (AUD13.50) and Bang Bang Chicken Wings (AUD18.50). In particular, the Duck Liver Parfait which we called the best alternative to foie gras, was so yummy that we swept the bowls clean. 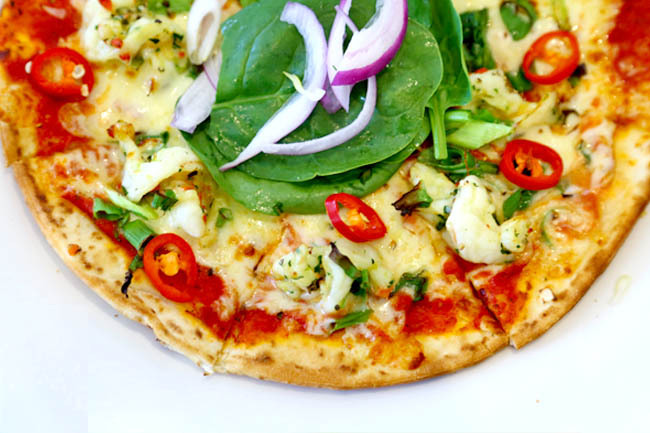 The freshness of the ingredients used became apparent in the Prawn Pizza (AUD21.50) where I could feel the crunch of the green onion, and the intense spiciness of the cut red chillies. And I then wondered why the chillies back home were not as hot. Busselton lies south of Perth and is a short 40-minute drive from Margaret River, where you can find some of the best wineries in the world. 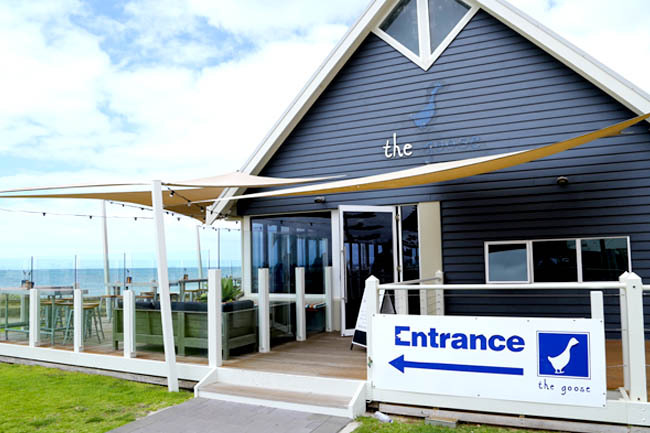 Travellers going to Margaret River should make this a stop to soak up the mesmerising seascape, and for fresh seafood and beer. The view alone is well worth this journey. The train departs the interpretive centre on the hour. Ticket include return trip and Jetty Day pass. Bookings recommended. Ticket includes return train ride, 40min guided tour of the Underwater Observatory and a Jetty Day Pass. Extra children $9 per child, max of 2. *Special thanks to Tourism Western Australia and Chan Brothers Travel for making this trip possible. To find out more about self-drive holidays in Western Australia, call Chan Brothers Travel Flexi Holidays at +65 6212 9684 or visit www.ChanBrothersFlexi.com. You may also visit www.westernaustralia.com for more destination information.